Netflix has a one-month free trial, so I figured I’d give it a try. It costs $8.00 per month and you can watch as much as you like. iTunes movie rentals typically cost $4.00 or $5.00 each, so Netflix seems like a much better deal. I signed up for the Netflix free trial and logged in. It didn’t work. Why? I had to enable Microsoft Silverlight. How bizarre! Silverlight is Microsoft’s competitor to Flash, and it’s used so little that I manage to use the web fine while having it disabled. I disable Silverlight because it can be a security issue, similar to Java and Flash. Anyway… I wanted to try Netflix, so I enabled Silverlight. I browsed through the selection and found some interesting movies and TV shows. I’d never seen the “Firefly” TV series (14 episodes), but had heard good things about it. Netflix has all the episodes. They also have some movies that I’d missed, like the latest X-Men movie, the recent Tintin movie, and well, that’s about it. Netflix does have a lot more, but the rest of their selection didn’t interest me. Their catalog is much smaller than iTunes’. 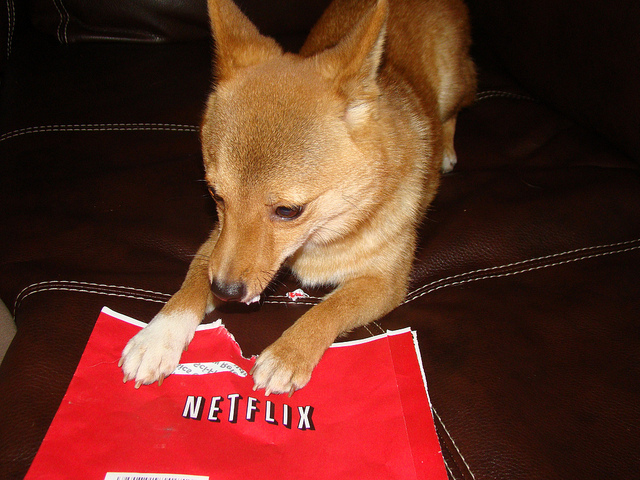 The photo, titled “conclusion: netflix envelopes=tasty!” is by _tar0_ on Flickr and is licensed under a Creative Commons Attribution 2.0 License.